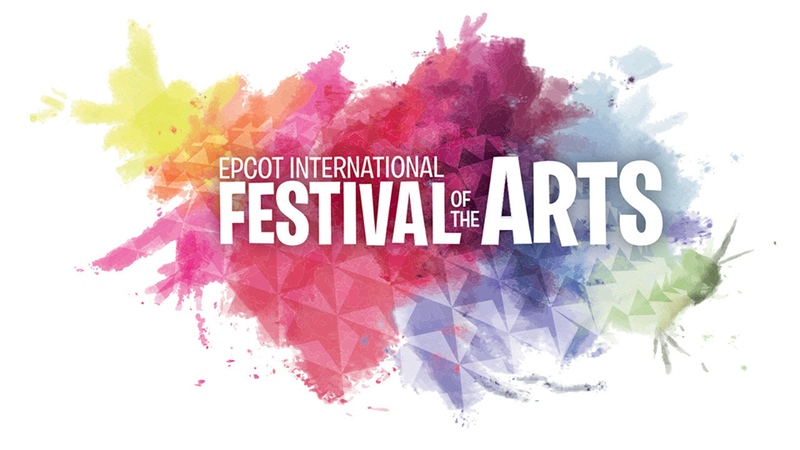 I was fortunate to attend the opening day of the inaugural “Festival of the Arts” at Epcot. Many members of the As You Wish Vacations team were on property last weekend to check it out and I would like to share a bit about the event, which will take place Fridays through Mondays, from January 13 to February 20. The premise of this festival is "a showcase of visual, culinary and performing arts from around the world". Similar to the annual Food & Wine Festival and Flower & Garden Festivals, the Festival of the Arts will feature kiosks that showcase foods from the nations represented in the World Showcase and beyond! The “food studios” will be open from 11:00 AM to 9:00 PM. The menus are fabulous: trust me, you will want to try everything if you happen to find yourself at this year’s event! Another fun event highlight are Performance Art showcases. At various points throughout the park we saw artists at work painting. They interacted with us and were happy to talk us through the creative process that would result in beautiful complete works. As the event progresses the artwork will grow to span many areas of the park ~ I wish I could return for the last weekend to see the end result! Various art mediums are represented at this festival... there were even chalk artists replicating works by the world’s greatest masters on the park’s sidewalks. This is not your typical crayola chalk, trust me! Hopefully it's waterproof so the masterpieces don't wash away too quickly! •	American Music Machine a capella group •	College and university talent •	Disney artists in action •	Disney on Broadway Concert Series •	Jazz ensembles •	Living statues •	Local high school choirs and marching bands •	Walking chalk gallery and more! Many guests will be most excited about the performances from various Disney on Broadway musicals, including Aladdin, Newsies, The Lion King and others. This will take place at the America Gardens Theatre on all festival-dates. The showtimes are 5:30, 6:45 and 8:00 and as with all events, admission to Epcot is required. Check out the schedule of appearances for each weekend below! •	January 13-16 and 20-23 Ashley Brown & Josh Strickland perform songs from Disney’s Beauty and the Beast, Frozen, Mary Poppins, Tarzan and The Little Mermaid. •	January 27-30 and February 3-6 Kerry Butler & Kevin Massey perform songs from Disney’s Aladdin, Beauty and the Beast, Newsies and Tarzan. •	February 10-13 and 17-20 Kissy Simmons & Alton Fitzgerald White perform songs from Disney’s Aida, Aladdin, The Lion King and The Little Mermaid. We saw the first show featuring Ashley (who originated the role of Mary Poppins in the Broadway production and also played Belle in Broadway's Beauty and the Beast) and Josh (who originated the role of Tarzan, among many other notable leads). They had an amazing chemistry on stage, and their combined level of talent was incredible. Overall we thoroughly enjoyed our visit to the inaugural Festival of the Arts event. This is an event that I would recommend to anybody planning to visit Epcot during this timeframe as there is certainly something for everyone.